One of the things you’re sure to hear about if you read up on Nashville is a local dish called “Nashville hot chicken,” a local culinary specialty. Anecdotal evidence suggests that spicy fried chicken has been served in Nashville for generations. The current dish may have been introduced as early as the 1930s, however, the current style of spice paste may only date back to the mid-1970s. It is generally accepted that the originator of hot chicken is the family of Andre Prince Jeffries, owner of Prince’s Hot Chicken Shack. She has operated the restaurant since 1980; before that time, it was owned by her great-uncle, Thornton Prince. Although impossible to verify, Jeffries says the development of hot chicken was an accident. Her great-uncle Thornton was purportedly a womanizer, and after a particularly late night out his girlfriend at the time cooked him a fried chicken breakfast with extra pepper as revenge. Instead, Thornton decided he liked it so much that, by the mid-1930s, he and his brothers had created their own recipe and opened the BBQ Chicken Shack café. In other words, it’s possible that this dish has been around a while in some form in the local black community, but what we know today as the Nashville hot chicken is from the 70s or 80s. A Midwestern reader with longstanding family ties to Nashville told me a while back that at least through the 1990s he never heard hot chicken mentioned there. I read that Nashville hot chicken is now supposedly popular around the south, but having spent extensive time in Alabama 10-15 years ago, I never once came across it there. An enterprising journalist should write a true history of hot chicken, but it appears that this was a minor product, until fairly recently mostly limited to the black community and not even especially prevalent there. Yet once again Nashville managed to take something about itself and create a mythos around it to build the brand. 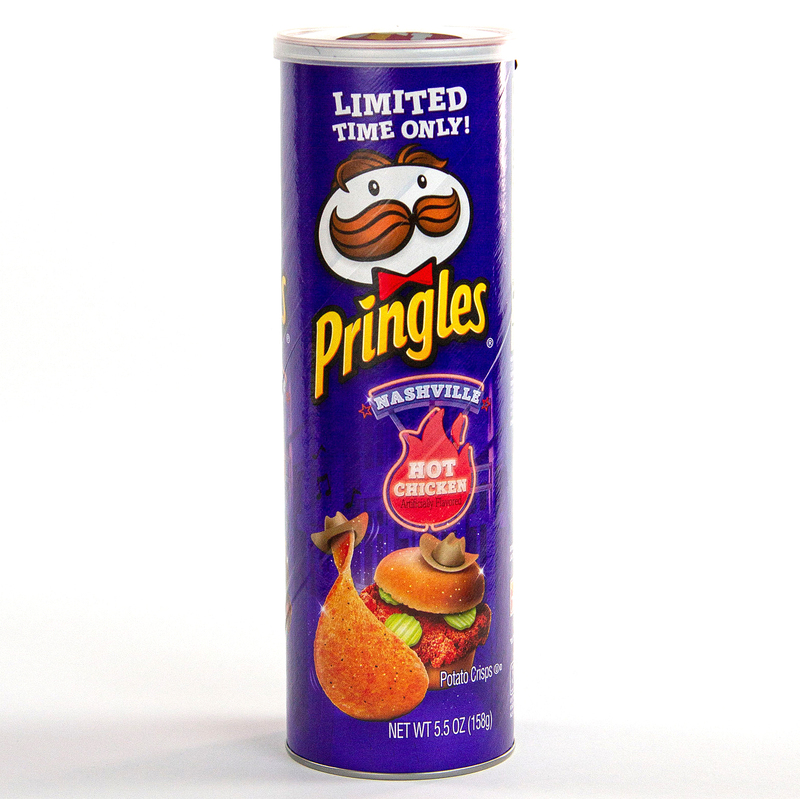 I just read this week that Pringles is now releasing a Nashville hot chicken flavor. 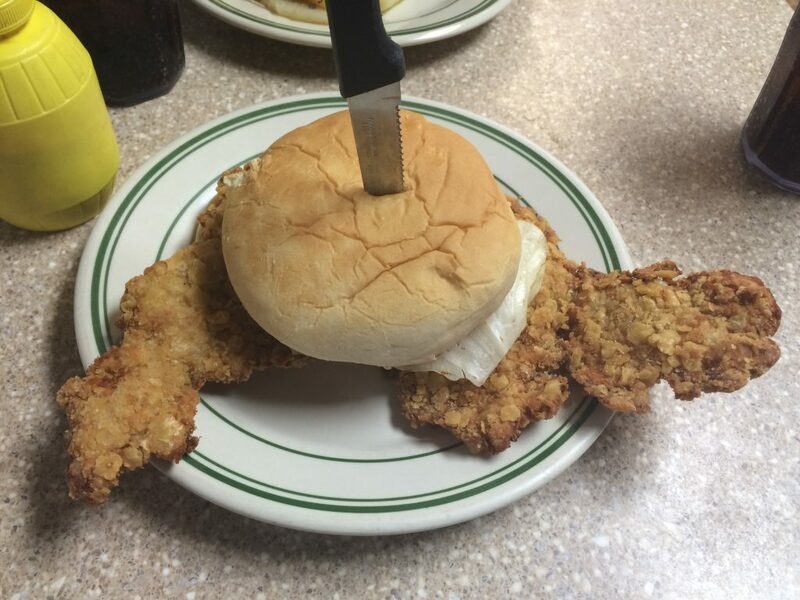 Being from Indiana I can’t help but contrast this with the pork tenderloin sandwich, which may be served regionally in various places (supposedly especially in Iowa) but is a particular speciality in Indiana. I did not eat these growing up. The far Southern Indiana area I grew up in had a strong Kentucky influence and orientation, and tenderloins were not a thing there. I suspect there are other parts of the state where that’s also true. For example, I’ve never seen one on a menu in Northwest Indiana, nor have my many friends from there ever referenced it. But the pork tenderloin is fairly ubiquitous in Central Indiana, where it is on practically every bar and grill menu. I’m not sure of the actual origins and history of this product either, but it’s been around at least as long as Nashville hot chicken and in a much more extensive way. Yet, as typical for Midwest food products, this never became a branding element outside Indianapolis or outside the state. (A better example might be Cincinnati style chili, which is better known, but never became “cool” in any sort of national way, though Skyline chili tried to expand regionally a while back). 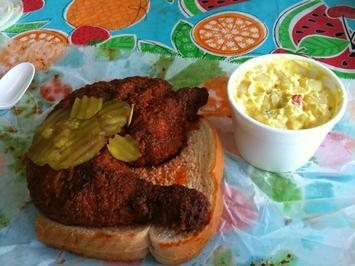 Why was Indianapolis unable to do with the tenderloin what Nashville did with hot chicken? For one thing, it never actually tried. The most telling thing in this regard is that I’ve never once seen or heard of a chef at any of the new hip restaurants in Indy do an interpretation the pork tenderloin. My wife lived her entire adult life in Indy until recently and she couldn’t think of one either, though it’s possible it happened recently. I again and again see that Southern cities start with little to nothing, and yet what they do have they treat as the greatest things of all time. As illustrated by Nashville hot chicken, they’ve also looked at their often neglected black community as a source of local cultural identity. The Midwestern cities not only fail at this consistently, they typically don’t even try. There are tons of regional food products in the Midwest – Chicago style dogs, St. Louis pizza, etc. – but other than Chicago’s deep dish pizza, they have been dramatically underexploited in the marketplace even as these cities say that they are very keen to raise their brand profiles.